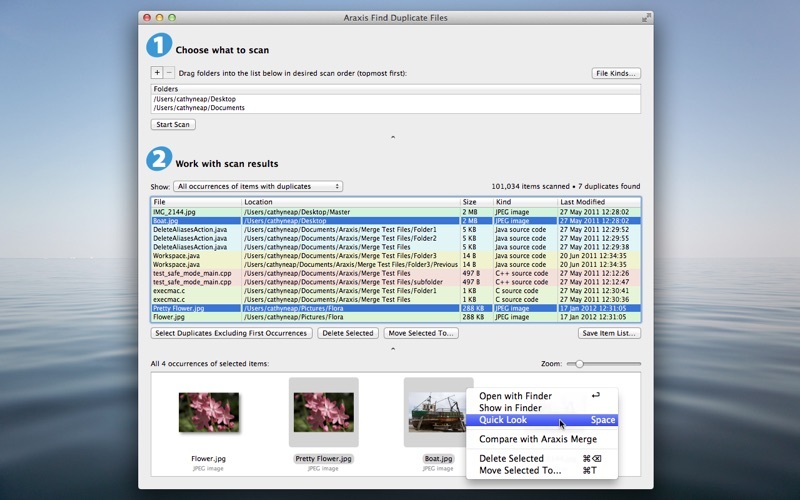 Araxis Find Duplicate Files is a delightfully easy to use app that helps you locate, view and manage files that have identical content, regardless of name. It can be especially useful if you have large Pictures, Downloads or Documents folders. 1. Your data is important, so please be sure to read and understand the cautions in the ‘Using Araxis Find Duplicate Files’ topic in the online help before you delete any files. 2. 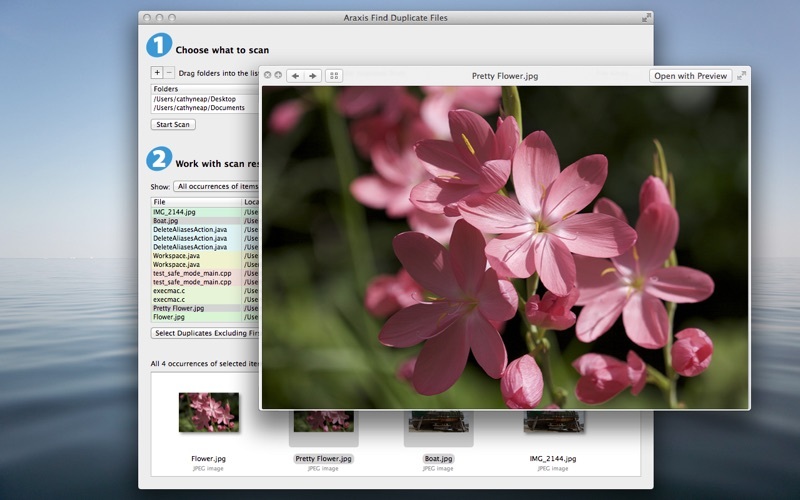 If you have any questions about Araxis Find Duplicate Files, or if you require support, please contact Araxis using the support link in the Mac App Store. 3. If you are prompted for a serial number when you run Araxis Find Duplicate Files, you are probably inadvertently running a version of the application downloaded from the Araxis website, and not the version you have bought from the Mac App Store. To resolve this, quit Araxis Find Duplicate Files, delete all the copies of Araxis Find Duplicate Files from your machine, and then re-install from the Mac App Store. 4. Note that Araxis Find Duplicate Files only considers files to be duplicates if the file content is completely identical. Thus, for example, audio or image files with differing metadata would not be considered to be duplicates. 5. If you encounter problems deleting files using Araxis Find Duplicate Files, check that your disk volume does not have errors. To do this, run Applications > Utilities > Disk Utility, select your disk volume, and choose the ‘First Aid’ tab. Then click the ‘Verify Disk’ button. ‣ The application no longer incorrectly reports that there is insufficient disk space when copying files on 32-bit machines running OS X v10.6.8 Snow Leopard.